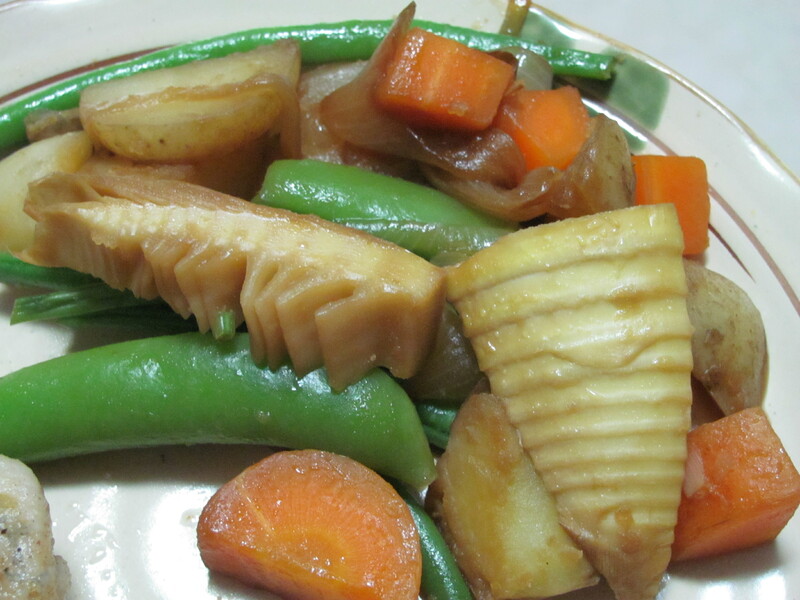 My Favorite Bamboo-Shoot (Takenoko) Recipes – I'll Make It Myself! If you have dug up or received a shoot within 1-2 days of harvesting, bitterness shouldn’t be a problem. Make a diagonal cut near the tip and a vertical cut from top to bottom. Open the layers and remove all of the husk. Cut of the very bottom part; wash. Cut off the outer parts and the purple parts. 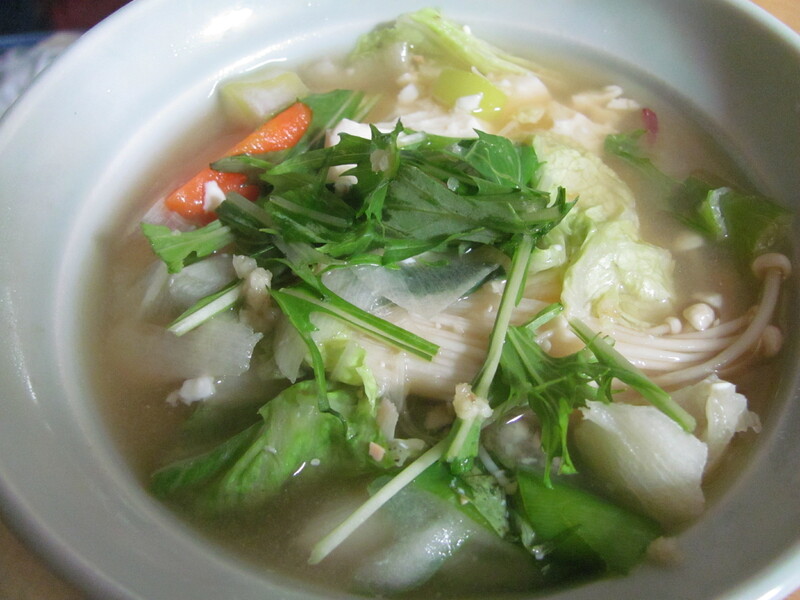 Boil in water for 30-45 minutes until crisp-tender. Allow to cool in the water, then cut into pieces and use immediately or store in a contained filled with cold, clean water in the refrigerator for up to 5 days. Change the water every day. 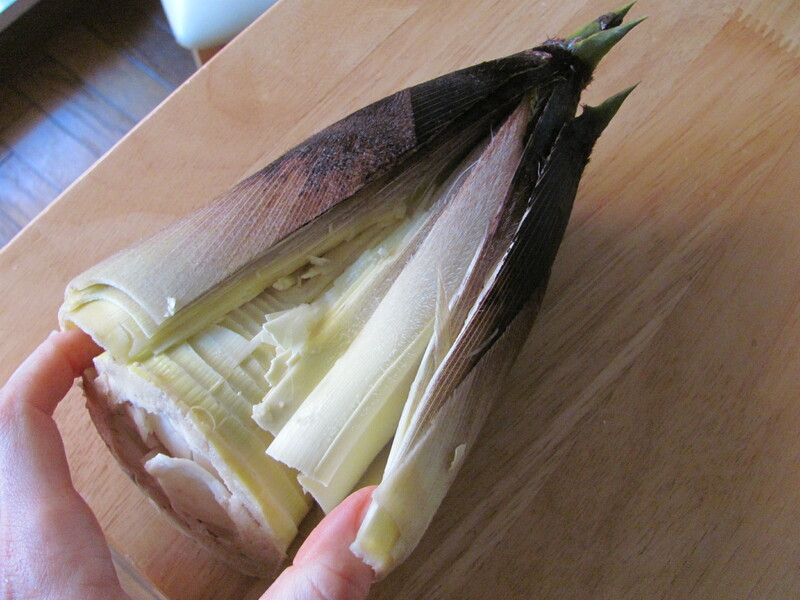 Bamboo shoots bought whole at the store (in the produce section) are fresh but might be bitter since they’ve aged in transit from the forest to the store. 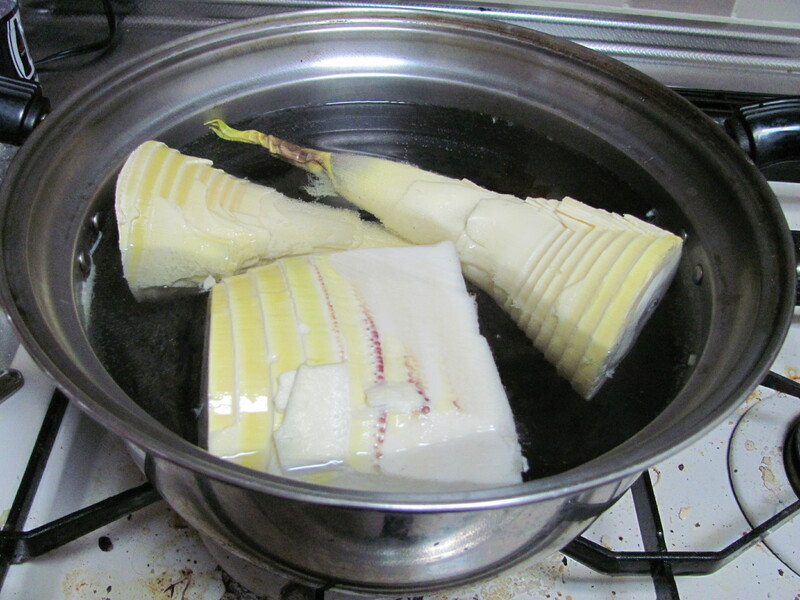 Use nuka, rice bran, (ぬか 糠), available in the pickling/vegetable preparation section of the grocery store, to cut the bitterness. Or, use the water that was used to wash rice. Make a diagonal cut near the tip and a vertical cut from top to bottom. Remove some of the husk, but leave a layer on. Boil in a pot with a cup of nuka for 90 minutes to soften the shoot and remove the bitterness. Remove the rest of the husk, cut off purple parts and the outer layer. Use immediately or store in a container filled with cold, clean water in the refrigerator for up to 5 days. Change the water every day. These are not as crisp or flavorful as fresh shoots, but they’re available year-round and come precooked, so they’re convenient for bamboo cravings. 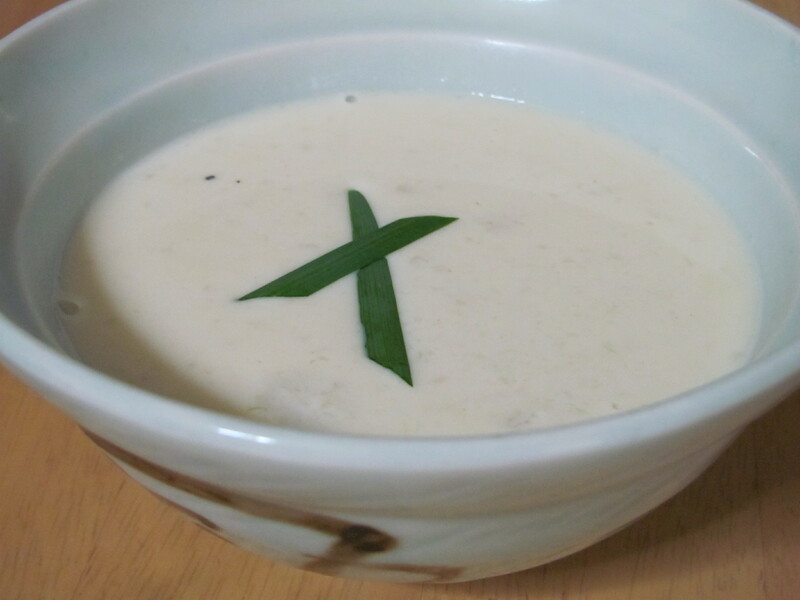 Rinse off any remaining white grit from the nuka in which the shoot was prepared before using in a recipe. 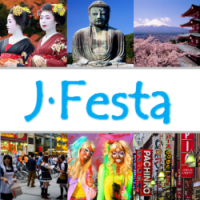 This post was submitted to the “May in Japan” May 2012 J-Festa on Japingu. Pingback: Best of 2012 | I'll Make It Myself! Pingback: Bamboo Coconut Curry with Kabocha, Lotus Root, and Soy Beans | I'll Make It Myself!